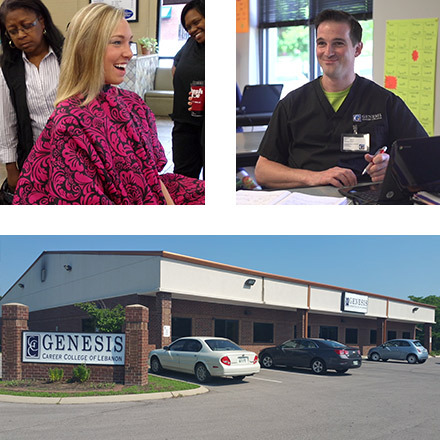 Located near historic Lebanon Square, Genesis’ campus in Lebanon, Tennessee offers state-certified academic programs for students looking to find stable careers in cosmetology and healthcare, two fields with growing demand. Take your first step towards a new career! 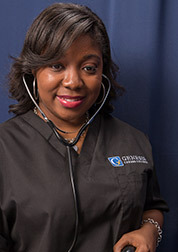 Genesis’ academic programs, which are all designed to be completed in less than a year’s time, qualify graduates to take and pass state licensing exams and professional certification exams. All Lebanon campus programs go beyond academics and hands-on training to provide students with financial and professional career counseling and job placement support, including job placement relationships with employers in Lebanon and Nashville. To learn more or to arrange for a campus tour, click the button below to fill out our contact form and a Genesis advisor will be in touch.